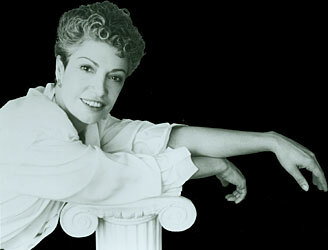 Joelle Wallach’s Quintet for Clarinet and Strings was written during the summer of 1989 for clarinetist William Powell with the generous support of Canada’s Banff Centre. It was conceived with reference to and with reverence for the great works by Mozart and Brahms for the same combination. 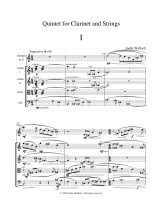 Wallach’s Quintet for Clarinet and Strings is a romantic work; its three movements are played without pause. 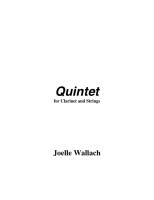 In order to reveal the clarinet’s vast emotional palette, it explores the instrument’s vocal expressivity: the upper register’s plaintive cries, its lowest tones’ sensuous moans, and the lyrical singing of its mid-range. The yearning insistence of the first movement gives way to the meditative melancholy of the second and leads to the rollicking humor of the third. 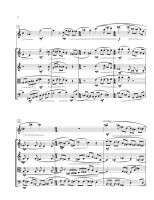 Yet even in the fast, witty third movement, fragments of the brooding previous moods occur.